It can be hard to share successes with professionals in the same field as you because of jealousy or competition. If you share your professional journey with an expert in a different field, they can understand and relate to your happiness. When you collaborate with other professionals, you create a professional relationship centered around supporting one another and celebrating when success arises. Sometimes it takes an outside perspective to shed new light on a project or idea. It’s easy to get so stuck in your own industry that you aren’t able to see the overall impact of a new idea. Someone in a different professional field can offer the fresh perspective you need to fully develop your new idea (better yet, maybe they have an idea you’ve never even thought of!). By meeting experts in different fields, you can learn more about what they do and maybe even refer their services to your friends and families. Networking referrals don’t work very well when you only know professionals in your field because you don’t want to refer someone to your competition. By meeting experts in other industries, you can have a more rounded and holistic referral group and get more referrals in return. Getting insight from a mastermind of professionals in other industries by sharing in monthly roundtables is a great way to expand your knowledge and enhance what you can offer to your clients. Do these work for you? 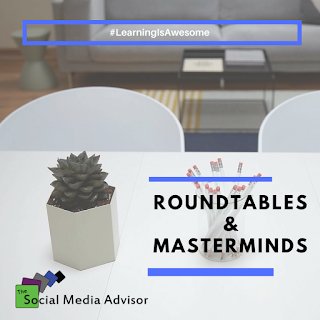 Have any experience in peer groups, masterminds or roundtables? Tell us how they helped you #BeAwesome with your work! Remember when you were in kindergarten and you met your best friends on the playground from just starting up a conversation and deciding you were automatically friends? Meeting and connecting with people seems to be a lot harder nowadays. As hard as it may be to approach a stranger and strike up a conversation, you will be thankful that you did. You may meet someone who is looking to hire in your field or someone who you really connect with. Even if they don’t end up being suitable to add to your client base, they could be a great power partner to collaborate with and expand your reach. The possibilities when it comes to making new connections are endless! 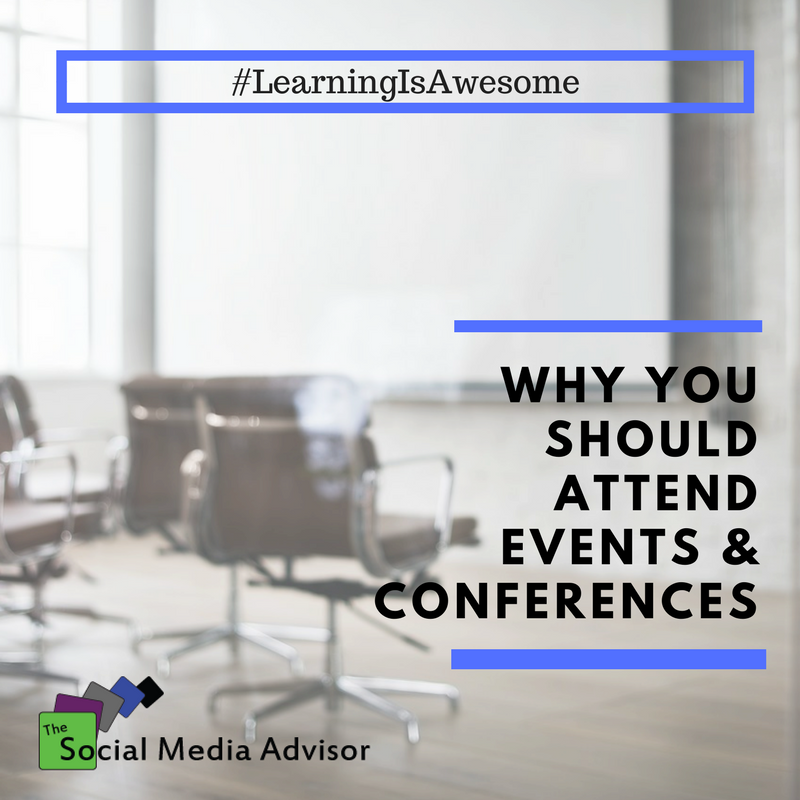 Conferences are an excellent time for companies to show off their newest gadgets and it is a great opportunity to learn about technology that you may eventually need to use in your work or personal life. You can watch as many Youtube videos as you want, but you wont learn nearly as effectively as when you are surrounded by likeminded and interested people. Staying on top of the trends in your industry will help you become an expert in your field and people are drawn to influencers and experts. When you attend conferences and invest in yourself, you will learn a lot about yourself as well. Throughout workshops you may learn that you actually have a skill for what is being taught. You will learn that you are great at meeting new people and wish you had been doing this a long time ago to expand your professional network. You may even learn that you love public speaking and would like to lead and host an event by yourself. When you try new things, especially when they involve meeting new people and gaining exposure to new ideas, you end up learning things about yourself. Going to a business event or conference can be daunting but there are so many benefits to taking the plunge and going. Instead of psyching yourself out, go and see how much you learn. And not to mention there may be some really good food and memorable conversation as well! Can’t wait to see you #BeAwesome and successful in these social settings! In the spirit of the Back To School time of year, we realized that you are never too old to learn something new. Our kids shouldn’t be the only ones continuing their education this Fall. So pick up some extra school supplies because we are going to list the 5 reasons you should open yourself up to learning new things! In a study done by Reader’s Digest, professionals found that people who read more for 30 minutes a day for years would on average live two years longer than those who didn’t read at all. Instead of watching tv at night, try to pick up a book, you might just live longer! By continuing to learn everyday, you are guaranteed to increase your knowledge, literacy, and understanding of new innovations. These skills will show in job interviews and you are more likely to get the job you want than someone who’s brain power has been stagnant since grade school. If you are a small business owners, those offers could look like speaking engagements or opportunities to spread your message to a wider audience. There is little that is more satisfying than the silence that follow’s a relative’s inability to retort an intellectual conversation at the dinner table. With Thanksgiving on the horizon, it might be time for you to work out your brain for any potential family arguments. When you spend the time to learn a new task, you may find that you have a knack for it. Don’t avoid learning a new skill just because you don’t think you have the time for it or you think you’re too old to learn. Instead rent out a book from the library or take a class on a skill you’ve never tried. You might not be convinced but there are other people out there in the same position as you! You may meet someone new in a class or connect with someone online who is also trying to learn something new. Or you could learn a new language and find yourself meeting people from all over the globe! The possibilities are endless! 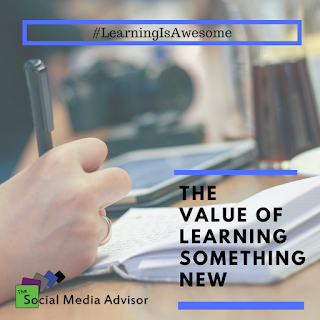 Being an adult is no longer an excuse; there is so much value to learning something new even when you are no longer in school. So pick up a book, sign up for a class, or join an online forum and start learning! Can’t wait to see your AWESOME! Do you want to learn how to be an effective Social Media Manager? Do you have an Admin on your team that needs to get up to speed on social media strategy for 2017? Curious on the best strategies for running successful Facebook Ads? This is the workshop you should attend. 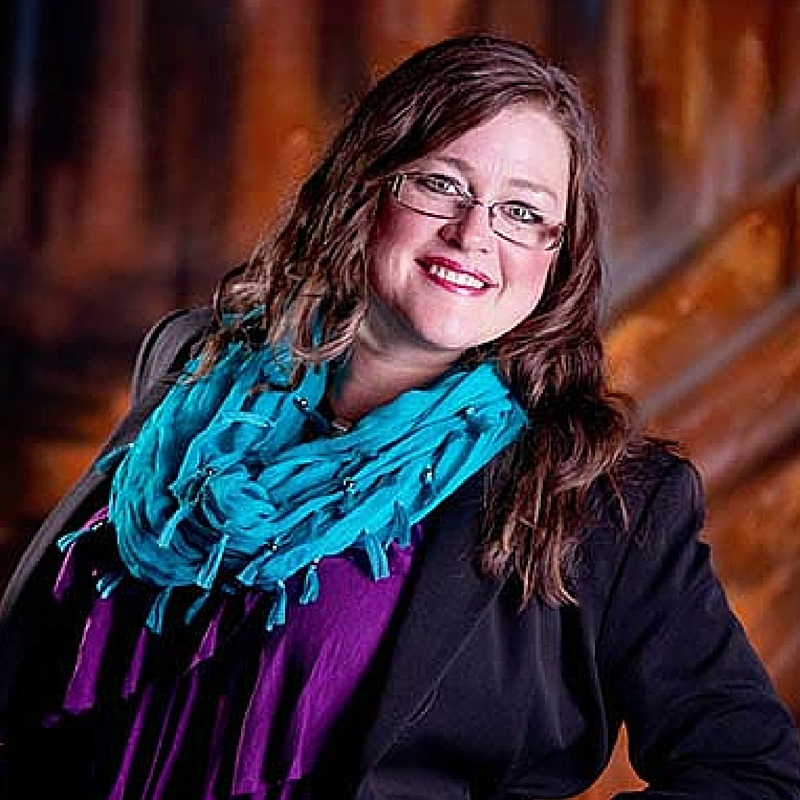 Do you want to learn strategies to market your business effectively using social media? NOW is the time. You will walk away with tools, editorial calendars and specific processes to put in place TODAY so that you can stay in front of your ideal client online and attract a new audience. Just as every established business needs to have a website, you also need to have an active presence in social media. Your clients and prospects are researching you to verify your business has social proof as a credible business. If you don’t have an active presence or systems in place to maintain conversations in social media, you are hurting your business. 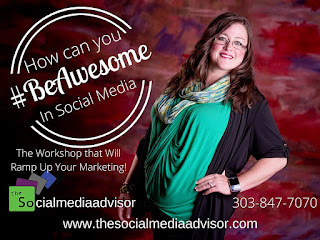 This workshop is your roadmap to get the right systems, tools and strategies in place to build a solid foundation for a successful social media experience with your audience. Launching these principles into your business will immediately improve your credibility with your customers by maintaining a long standing relationship with your clients so your competition isn’t claiming them from you. We will provide Social Media strategies and processes for your business to establish social proof and build relationships and leads with your ideal clients through specific activity and proven methodologies. – Content is KING! Discussing and developing the proper ways to integrate the power of native video, branded images and keyword rich storytelling into your online brand that you can implement TODAY! – Tools of the Trade: Top tools for creating and scheduling content, monitoring engagement, and processes to keep you on top of your marketing funnel that you can implement TODAY! Seats fill quickly and we can only teach this workshop with a maximum of 15 attendees! Hollie Clere of The Social Media Advisor is a “#BeAwesome” Developer, Social Media, Brand Builder, Content Manager, Trainer and Author in LinkedIn, Facebook, Twitter, Blog, Google+, YouTube, Pinterest, Instagram and the tools to manage them.